Our client for this project has a career in global finance that has taken her to far off places and allowed her to acquire an extensive art collection along the way. 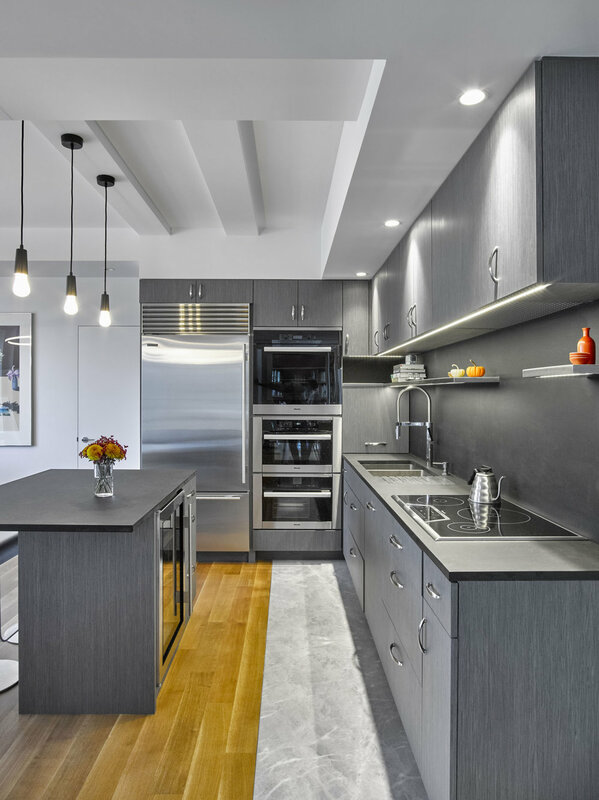 Splitting her time between Washington DC and NYC, she purchased a penthouse duplex apartment in a landmark building originally designed in the 1920s by the renowned architect Emery Roth. 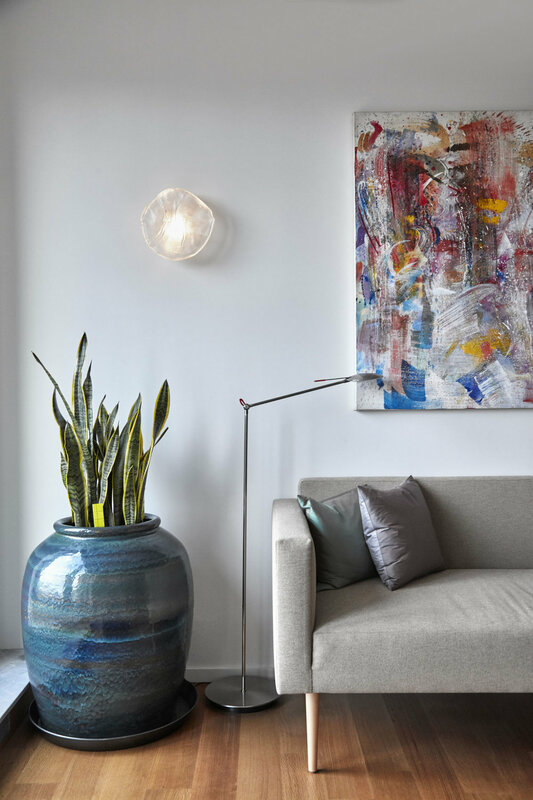 She asked us to transform the apartment (previously owned by a fashion photographer with flamboyant taste) into a Bauhaus inspired space she could call home and showcase her collection. 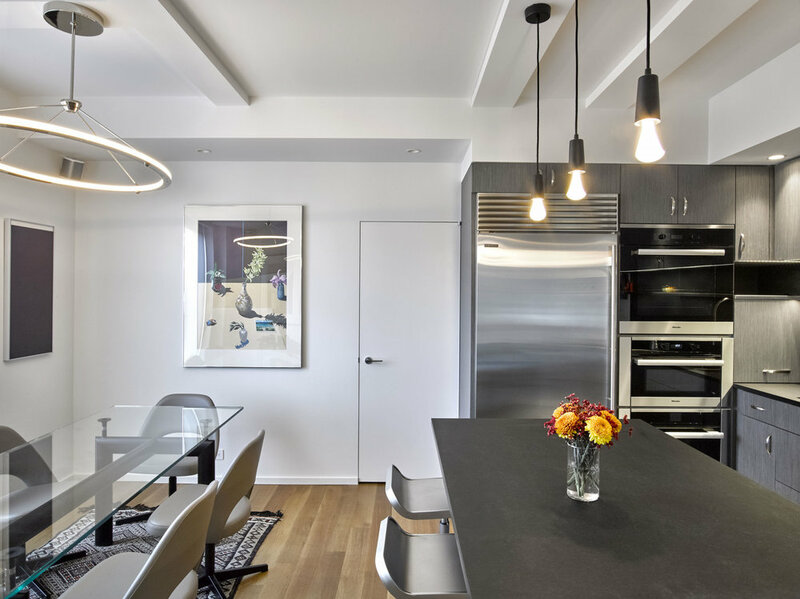 To highlight her collected works by artists including Richard Serra, Jeff Koons, Joan Miro, and Ellsworth Kelly, the walls and baseboards throughout the apartment were painted white. While simplicity was key to allow the artwork to stand out, we incorporated minimalist design details such as curved corners and simple finishes. 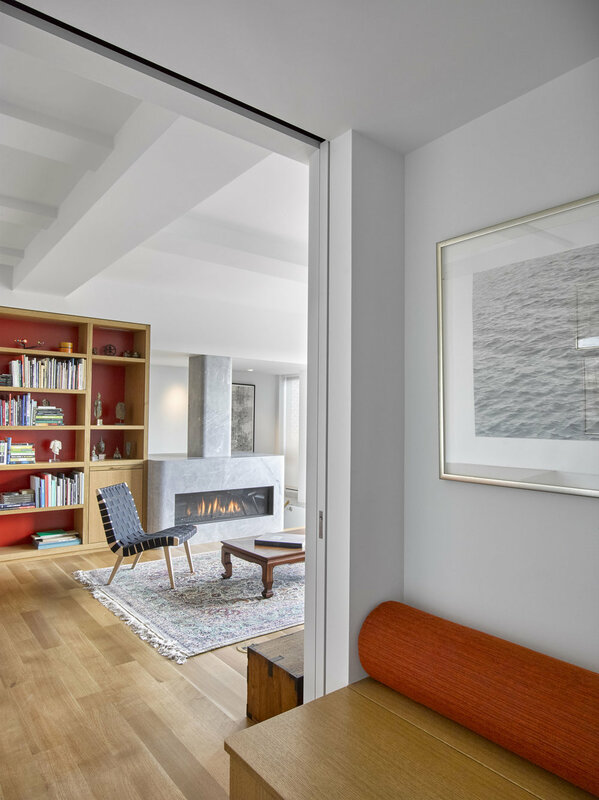 Wood flooring and custom wood millwork, including a built-in entry bench and living room bookshelves, mix with solid stone to give the space warmth amidst the white backdrop. 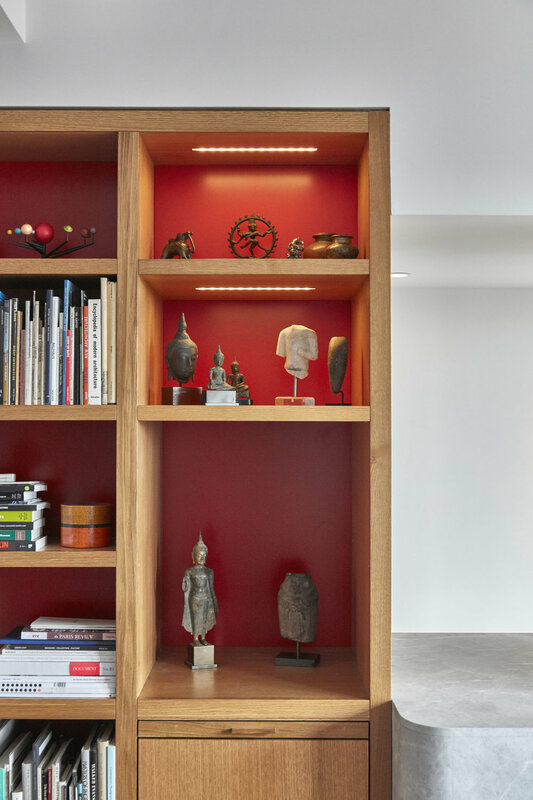 A pop of color in the built-in bookshelves serves as a nod to the basic graphicness of Bauhaus design while the decorative lighting fixtures become a part of the art. 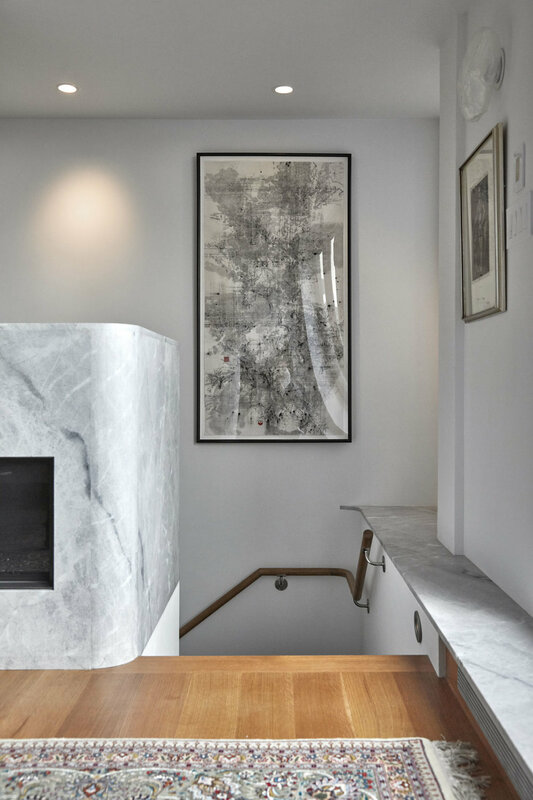 With her existing DC house alongside a park, the client wished to maintain a relationship between her living space and nature. 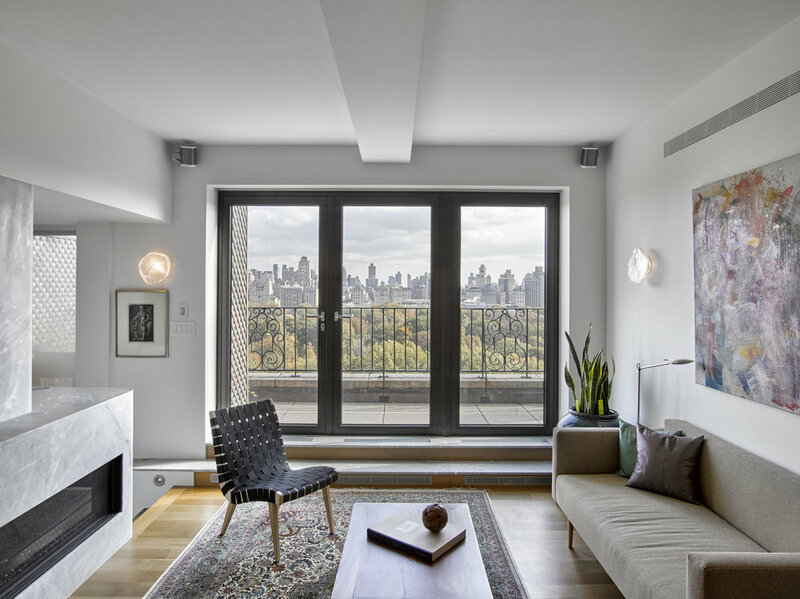 Although nature is not as easy to come by in NYC, she found a home that overlooks Central Park with a terrace as an extension of the apartment. 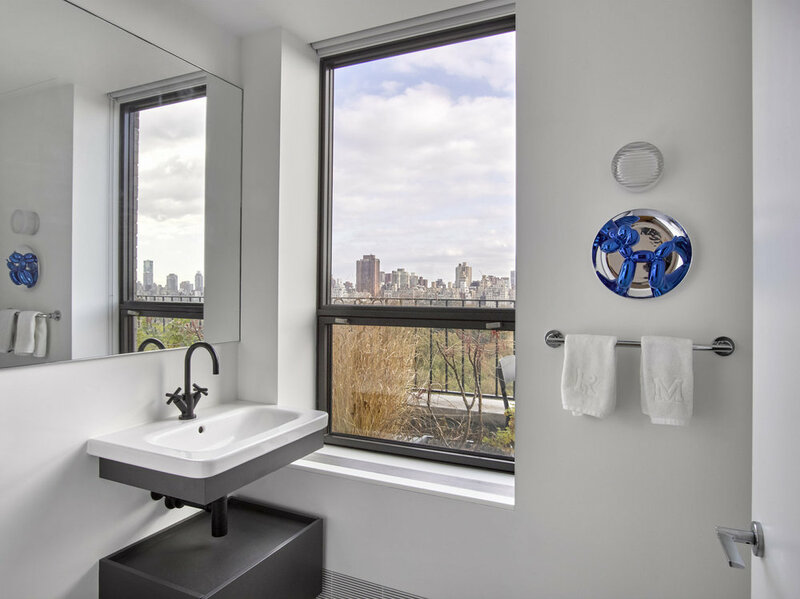 New sliding doors and windows with minimal frames were installed to take advantage of the views and natural light. 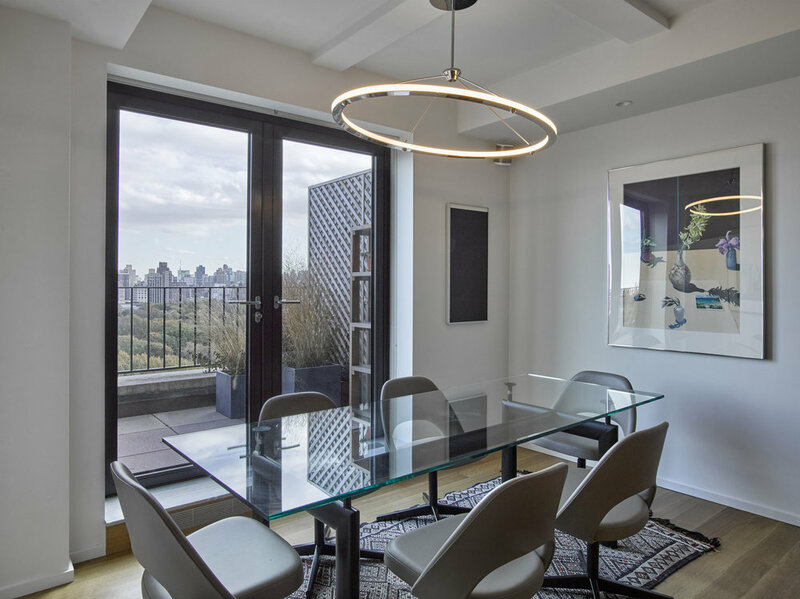 Working with a landscape designer, a terrace garden and modern outdoor furniture were the final elements to create a transition between the apartment and the park. The client finally has a home to display her art collection which is a reflection of her life and a reminder of all the places she has explored over the years.